With weekly and sometimes daily news of new devices on the market, the ProVari has stood the test of time admirably. From its introduction, it has been the standard of quality and performance that variable voltage electronic cigarettes are measured against. The design is so good that it doesn’t need to be improved very often, but version 3 will soon be available. Check out the ProVari 3 page at ProVape for more details and to place your preorder! Cotton has become my wick material of choice because of how easy it is to work with and its excellent flavor quality. While there are lots of cotton options available, the absence of chemicals make organic cotton is a great choice. 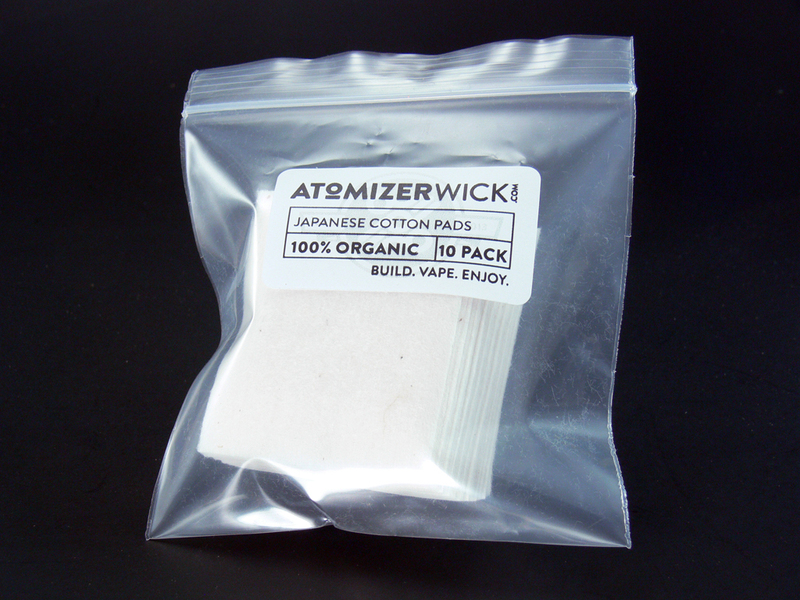 I recently picked up some 100% Japanese Organic Cotton pads from AtomizerWick.com and they are excellent. $5.75 buys a package of 10 pads, each of which could be good for a couple dozen wicks. They actually also sell it on ebay with some free coil wire included, so it’s a slightly better deal. Atomizer wick also has 100% organic USA grown cotton whcih comes loose in bags. 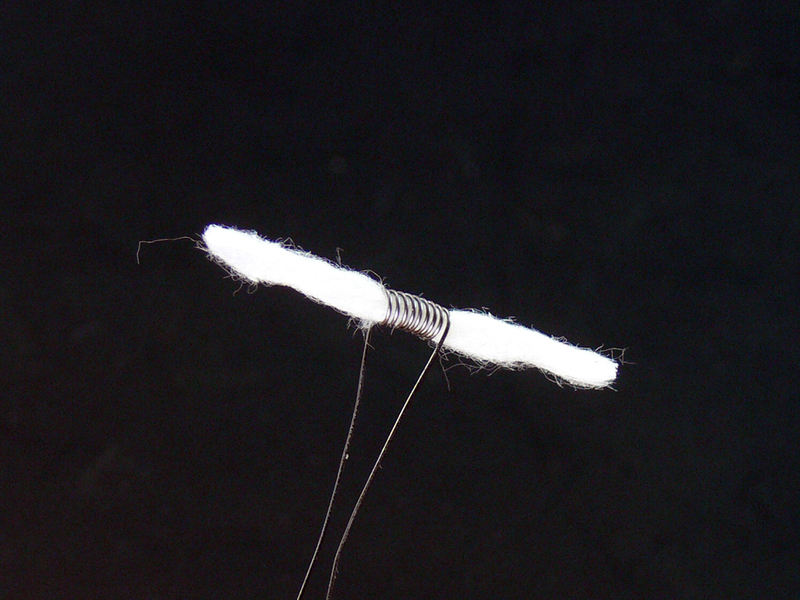 Creating a wick from the cotton pads is simple, but does require a little pulling apart and fluffing (with clean hands!) to get the best results. And good results they are. Cotton in general provides a clean clear vape with excellent wicking and wicks made from these pads are the best of the best. The upcoming election in New Mexico pits Conrad James against incumbent New Mexico State House Rep. Elizabeth “Liz” Thomson. “Why does it matter to me,” you may ask? Because Liz Thompson has demonstrated that she will not let facts get in the way of introducing bills to tax e-cigarettes, restrict flavors, ban usage, and classify devices and liquids as “tobacco products.” As chairperson of the Tobacco Settlement Revenue Committee in the state, she has organized “studies” that listen to ecig opponents and ignore actual scientific information. Gregory Conley’s excellent article on Vape.com is a great read on the whole story. It’s time for Liz to go and this is also a good time to make your voice heard. A state legislature election in New Mexico may not seem like that big of a deal, but this is a hotly contested election that involves a loud voice in the anti-vaping choir. Who knows what other politicians across the country may decide to change their tune if they see vapers make a difference in the outcome of an election? The Conrad James campaign can use your help, whether it’s in the form of contributing or volunteering. Volunteer4Conrad@VapersVotingGuide.com can also provide information if you can help out in New Mexico as well. Of course, if you live in New Mexico or know someone who does, please get out the vote! I have become a big fan of the Kayfun rebuildable tank atomizer, in my case the Tobeco style clone. The ease of building and reliability of these things has me hooked. The only thing I don’t care for is the size and weight. It’s just a little bulky and heavy for daily pocket use. To that end, I’ve experimented lately with some customization options, namely a clear “M” tank and a frosted Nano kit. I bought the clear Kayfun tank from Madvapes for $4.99 and it was a great little investment. 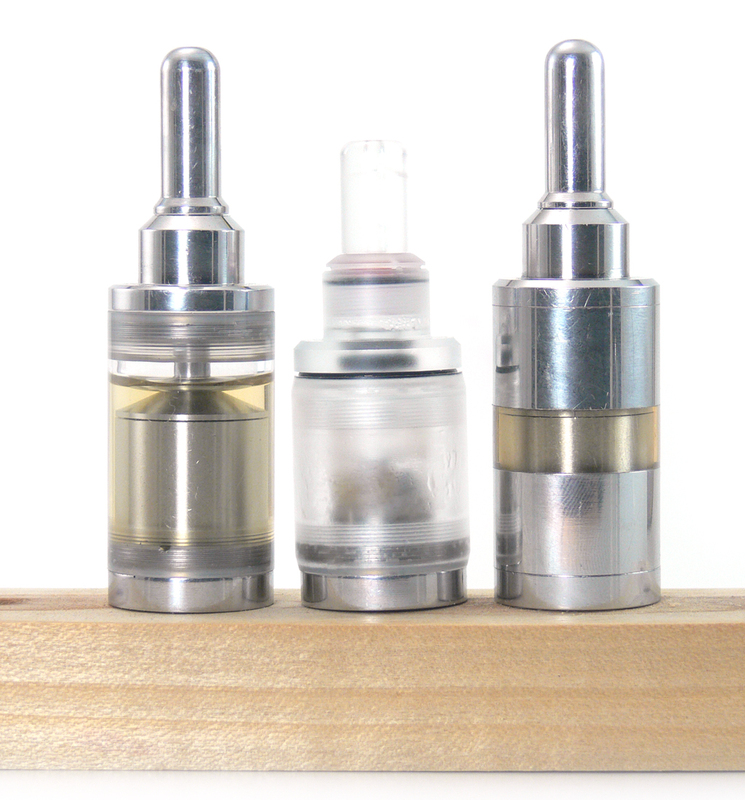 It replaces all three center sections of the stock Kayfun, resulting in completely clear tank sides. It is plastic, so my assumption is that some more caustic juices will cloud it, but for me the lighter weight and clear tank is a perfect addition to my favorite atty. The frosted Kayfun Nano kit that I picked up on Ebay is lighter still. 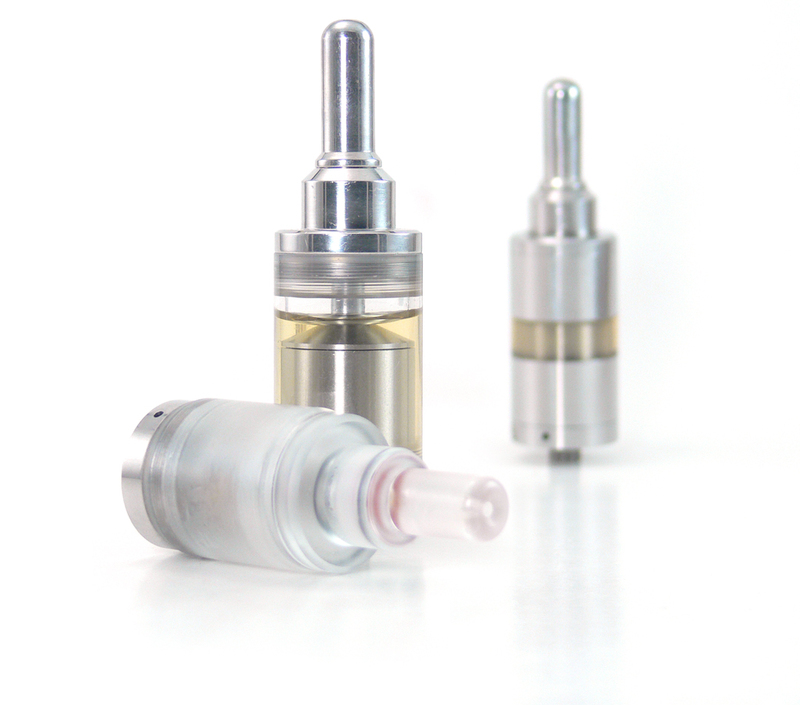 The kit includes shorter frosted replacements for all parts of the stock Kayfun except the base, making for a much lighter and slightly smaller device. Of course, e-liquid capacity is also reduced by a ml or so. What I also noticed is a higher likelihood of getting a splash of e-liquid in my mouth when drawing on it. So in this case, smaller and lighter do come with some trade-offs. The frosted nano kit is also available from EVCigarettes at $14.99. I still don’t have any idea what EMOW means, but I am really enjoying it! The EMOW 1600 kit from Kanger mates a variable voltage battery with a whopping 1600mAh capacity to an excellent bottom dual coil tank with adjustable airflow. It’s slightly larger than a typical eGo, but smaller and definitely lighter than an APV with similar capacity. It’s a great looking package, but the real value is in the performance. Right out of the box this device vapes nearly perfectly. Just charge the battery, fill the tank and go. I got excellent vapor with all but the thickest juices and even then no dry hits, just a muted flavor. The variable voltage battery delivers a full 4.8 volts with the included 2.0ohm clearomizer. The $54.99 from EMOW 1600 kit from Goodejuice includes the variable voltage battery, trim ring, tank with 5 replacement heads and a USB charger and wall adapter. That’s enough to get a vaper started and then some! Robert West, PhD, the director of tobacco studies at University College London is yet another leading health figure to endorse electronic cigarettes. In a WebMD article I mentioned a few days ago, West took issue with the World Health Organization (WHO) after it published a negative report on ecigs that drew a number of erroneous conclusions. In West’s comments he notes that persuading a million smokers to switch to an e-cigarette could lead to 6,000 lives being saved each year “even in the event that e-cigarette use carries a significant risk of fatal diseases.” Kudos to Mr. West for calling it like it is. We all are aware that we would be better off not inhaling anything into our lungs, but if we can significantly decrease the risk of doing so, why would a “health organization” object? Or as West puts it, “”given that smokers smoke primarily for the nicotine but die primarily from the tar, one might imagine that e-cigarettes would be welcomed as a means to prevent much of the death and suffering caused by cigarettes.” Well said. “E-cigarettes are new and we certainly don’t yet have all the answers as to their long-term health impact, but what we do know is that they are much safer than cigarettes, which kill over 6 million people a year worldwide,” according to Ann McNeill, deputy director of the U.K. Centre for Tobacco & Alcohol Studies. While electronic cigarettes obviously do not fit in with the WHO’s political agenda, they apparently do fit in quite nicely with those groups that are actually concerned about saving smokers’ lives. Now is the time to submit comments to the FDA. Comments must be submitted by August 8th. Proposed regulations will lump the ecig in with other forms of tobacco, subjecting them to unnecessary regulation that is quite likely to drive all but the biggest manufacturers out of business. Quite simply, the electronic cigarette will probably still be around, but only big tobacco companies will be making them. The juices and devices you have come to love will be gone or relegated to the black market. 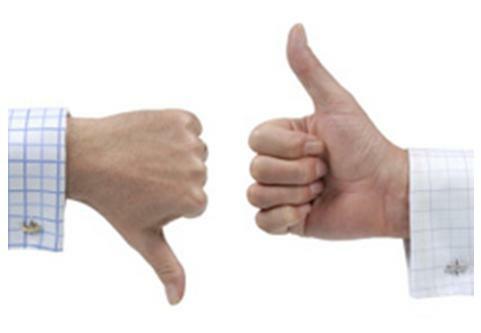 An overwhelming show of support in the form of comments to the FDA is probably our best bet at the moment. We urge anyone whose life has been changed by the electronic cigarette to submit their comments this week. The Consumer Advocates for Smoke-Free Alternatives Association (CASAA) has all the details on what you should submit. Please see their call to action and submit your comments now! Smok Tech has released a new variation on the variable voltage/variable wattage (VV/VW) mod. The Rocket uses a rotating center ring rather than a menu system to adjust the output. There are five settings for output – 3.6V, 4.0V, 4.4V, 4.8V and 6.0V or 6.0W, 8.0W, 10.0W, 12.0W, and 15.0W. These options are somewhat limited, but should meet the needs of most vapers, myself included. Eliminating the menu system allows the power button to be used for a 5-click on/off switch, which is a feature I welcome. 3 clicks change the settings from voltage to wattage as well. THe top cap is removable to reveal eGo threading and the unit comes with a second top cap for use with eGo toppers. A spring loaded center pin ensures reliable compatability with lots of accessories. The bottom cap covers the removable 18650 battery and is nice and flat to make the device stable when standing. Mesh venting on the sides of the unit rather than the standard vent holes is a great design feature. Rocket looks like another winner from Smok Tech. It is available from Madvapes for $79.99. A multimeter is a useful device for checking the resistance of coils. There are lots of good ones out there that can “zero out” to enable a good reading, but many of the cheap ones do not have this feature. What does zero out mean? Essentially it is eliminating the resistance of the leads and probes so that you get a good reading. Touching the two probes of an inexpensive multimeter together will likely give you a .4 or .5 ohm reading and this must be compensated for before testing your coil. A good multimeter will do that compensation for you by zeroing out, while a cheap one often will not. In this case, just remember to touch your leads together first and then subtract that reading from whatever you get when testing your coil. For instance, if you get a reading of .4 with just the leads touching and 1.9 when you test the coil, then you will want to subtract .4 from 1.9. The result is 1.5ohms, which is the resistance of your coil, and that makes for a good vape!